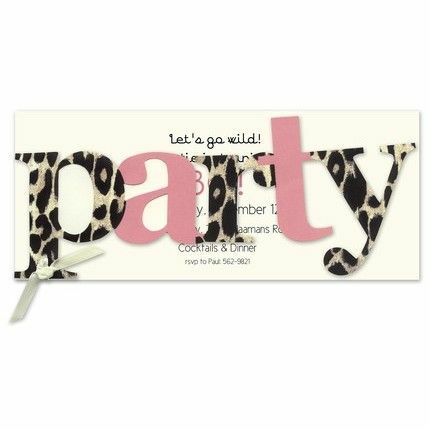 It's time to party! 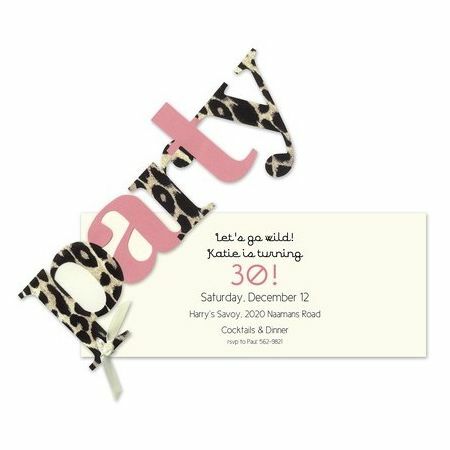 This multi-piece card features your personalized text on a flat ecru card. 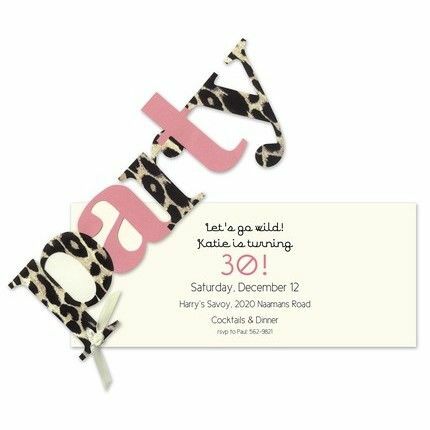 The card is die-cut in the shape of the word "party" in an alternating pink and leopard pattern and is attached by an ivory ribbon to the blank ecru card.